Betty Jordan Wins Robert Hite Award | Alan Plummer Associates, Inc.
Denver, CO — Water For People announced Betty Jordan as its 2010 Robert W. Hite Outstanding Leadership Awardee today. The Robert W. Hite Award annually recognizes an individual who models the best in leadership with innovation, creativity, and commitment to the principles of Water For People. Ms. Jordan was presented with the award on October 5, 2010, at the Water Environment Federation’s Annual Technical Exhibition and Conference in New Orleans, LA. Water For People is an international humanitarian organization that supports the development of sustainable safe drinking water resources and improved sanitation facilities in developing countries, focusing on creating sustainable solutions such as their transformative “Sanitation as a Business” program. As the 2010 recipient of the Robert W. Hite Outstanding Leadership Award, Ms. Jordan inspires others to share in the vision of a world where all people have access to safe water and sanitation facilities. Ms. Jordan is a principal with Alan Plummer Associates, Inc. (APAI), an architecture and engineering firm in Dallas, TX. She is a Professional Engineer and has degrees in Biology, Chemistry, and Civil Engineering. As the Manager of Technology for APAI, she mentors young engineers and works with others to ensure new technologies are fully evaluated and appropriately incorporated into solutions for clients. 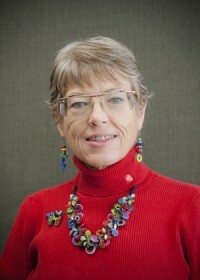 Ms. Jordan is currently serving as the President of the Water Environment Association of Texas and is on the Board of Trustees of the Water Environment Federation. As a passionate fundraiser and volunteer for Water For People, Ms. Jordan also received the Kenneth J. Miller Award in 2007. In addition, she was the keynote speaker at the US Stockholm Junior Water Prize competition where she challenged the students to enrich their lives and the lives of others through activities in organizations such as Water For People.